There’s been a lot of noise lately about one of the craft world’s love-to-hate embellishments: glitter! When we say glitter, you’re no doubt thinking about the tiny, sparkling particles of magic that never seem to go away. You may even be thinking about the fact that glitter is made up of tiny little plastic pieces, and that might make you cringe. But, did you know that glitter has actually been around for thousands of years, in one form or another? 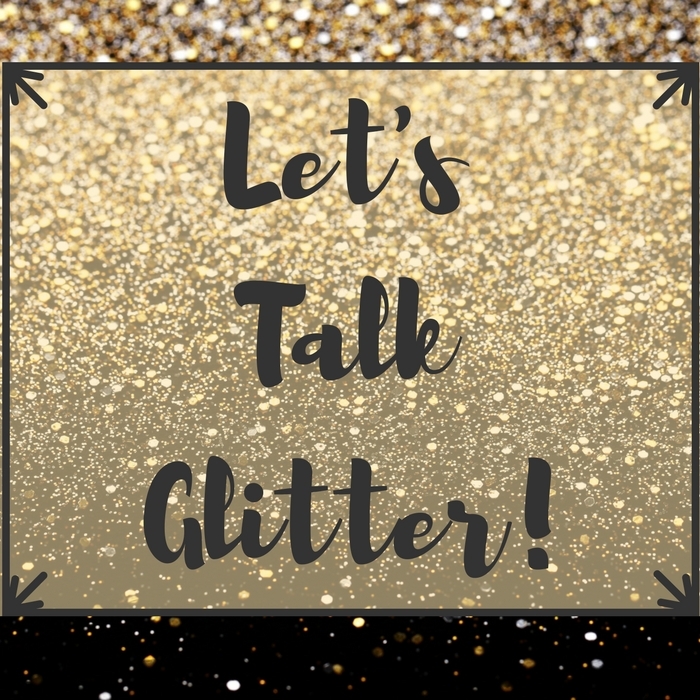 Glitter comes from the Old Norse term glitra, and defines something that shines and reflects light-let’s take a minute and reflect on the history of this shimmery substance. Those are two words we never thought we’d say together! That’s right, glitter has been around for so long, that it can even be described as prehistoric. It’s believed that prehistoric humans used shiny mica flakes to embellish their cave paintings, and used powdered hematite in their cosmetics. Around 8,000 years ago, humans were using a vastly less-safe powdered galena (which contains lead) to make a shimmering paint. As a matter of fact, galena was so popular in the Americas that the Cahokia native peoples used it in trade. Of course, we can’t discuss something shiny and used in cosmetics without mentioning the Egyptians! Approximately 3,000 years ago, ancient Egyptians found that they could get their shine from the shells of beetles and a finely ground crystal called malachite. The answer to this question has obviously varied throughout history; glitter has been produced using many different materials over the course of thousands of years. Along with crushed micas and natural minerals, glitter has also been and still continues to be made out of materials like glass, aluminum, and plastic. There are also edible glitters made out of sugars, acacia, cornstarch and food-safe colorants. Glitter comes in all shapes and sizes, too. Popular shapes are squares, rectangles and hexagons, although it’s hard to make out the shape-glitter ranges in size from just 0.002 in or .051mm to up to 6.4mm in size commercially! Although there aren’t specific numbers for glitter sales in the United States, it’s estimated that between the years of 1989 and 2009, approximately 10 million pounds of glitter were purchased. That is a lot of glitter! Although most handcrafters are already switching to eco-safe glitters, there are many manufacturers that are still using plastic-based glitter. Now, you know if you’ve ever used glitter in well…anything…you know that it’s almost impossible to get off, due to the static electricity generated in the little shiny particles and their tiny size. 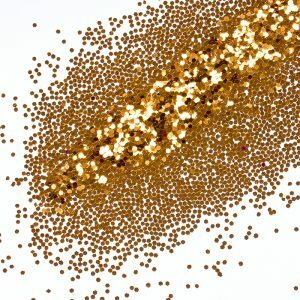 This tiny size is part of the reason why some people are calling for a ban on non-biodegradable glitter; like micro-beads, the minuscule glitter pieces are too small to be filtered out by water treatment plants. This means that they end up in water sources where fish mistake them for food and digest them. While shiny, glitter is not a preferred or safe food source for these animals, and they are dying because of it. Fear not, handcrafters-there are other options for glitters that are not bad for the environment. 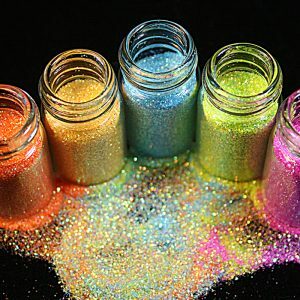 Bio-degradable and food-grade glitters exist, and you can even make your glitter with salt and food coloring if you’re feeling especially shiny! Humanity’s love for shiny objects isn’t going away anytime soon, and today’s cosmetics and soaps are proof of that! Make a switch over to an eco-friendly glitter and watch your product shine.